Best Buy has a new Game Trade In offer! 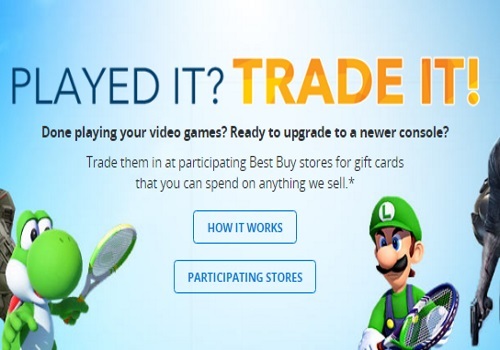 Trade in your old games at participating Best Buy stores for gift cards that you can spend on anything! Trade in 3 select games for $100 credit! There are over 30 games to chose from. This offer is in-store only from May 6-12, 2016. Due to municipal by-laws trade-ins are not currently available in Surrey and Kelowna BC, Winnipeg MB, Sudbruy, Woodbridge, Richmond Hill ON and Rosemere QC.